Grinding can reduce the potential for unsightly sucker growth. Grinding is an environmentally safe solution. If the tree removed was diseased, grinding prevents further spread of disease to healthy trees, plants and shrubs. The quality of stump grinding is an important consideration, as well. The certified arborists at Blue River Forestry and Tree Care take great care to accomplish every job, from pruning to removals to stump grinding, according to industry standards and to completion the first time, every time. 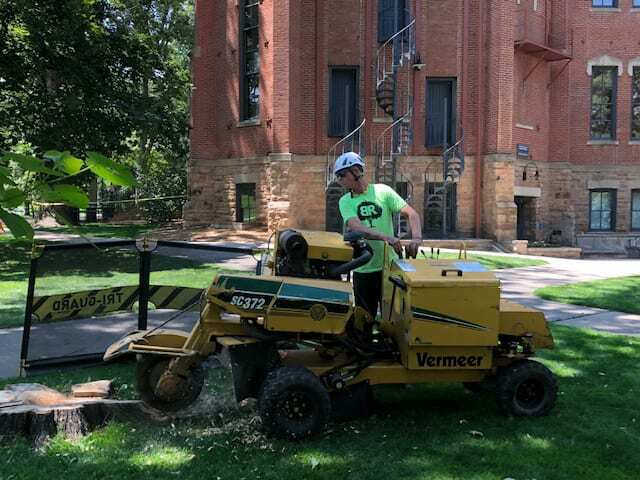 Call us at (720) 256-9056 to discuss the specifics of your stump grinding situation or invite us to provide a free on-site, no-obligation, recommendation.